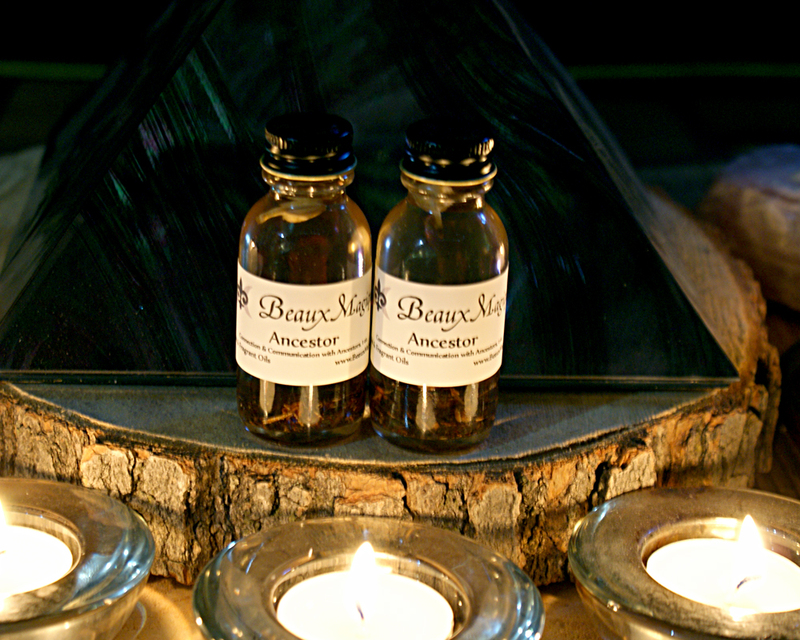 Ancestor ~ Altar Oil, Conjure Oil, Ritual oil - 1 oz. 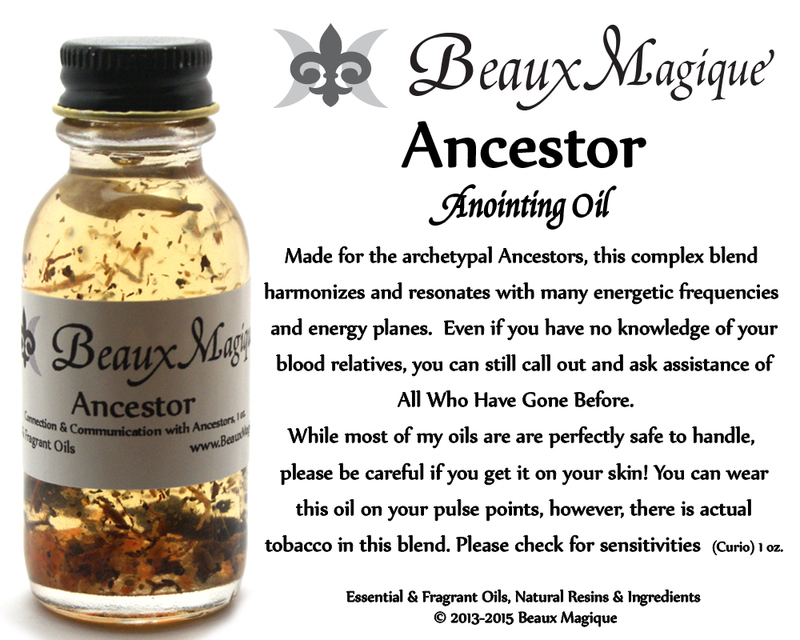 Home / Shop Beaux Magique / Conjure Anointing Condition Oils / Ancestor ~ Altar Oil, Conjure Oil, Ritual oil – 1 oz. 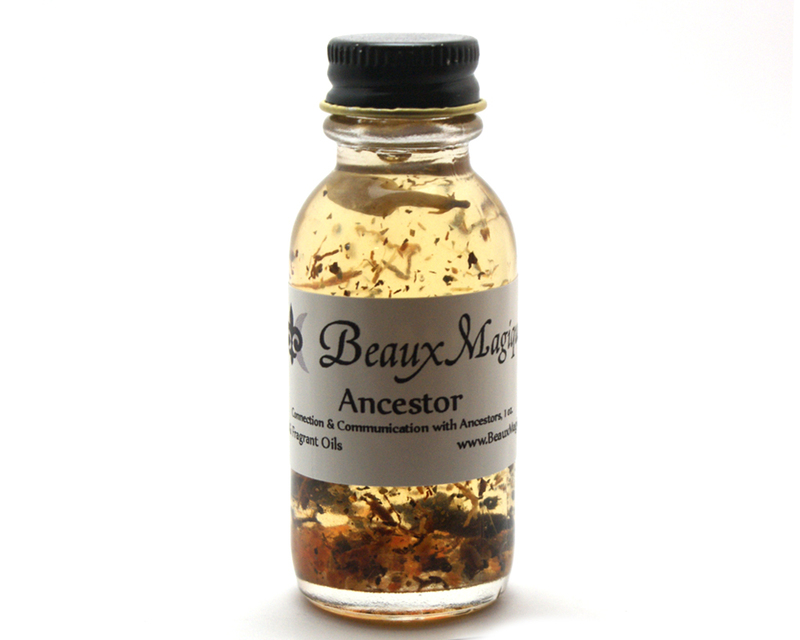 Made for the archetypal Ancestors, this complex blend harmonizes and resonates with many energetic frequencies and energy planes. Even if you have no knowledge of your blood relatives, you can still call out and ask assistance of All Who Have Gone Before. 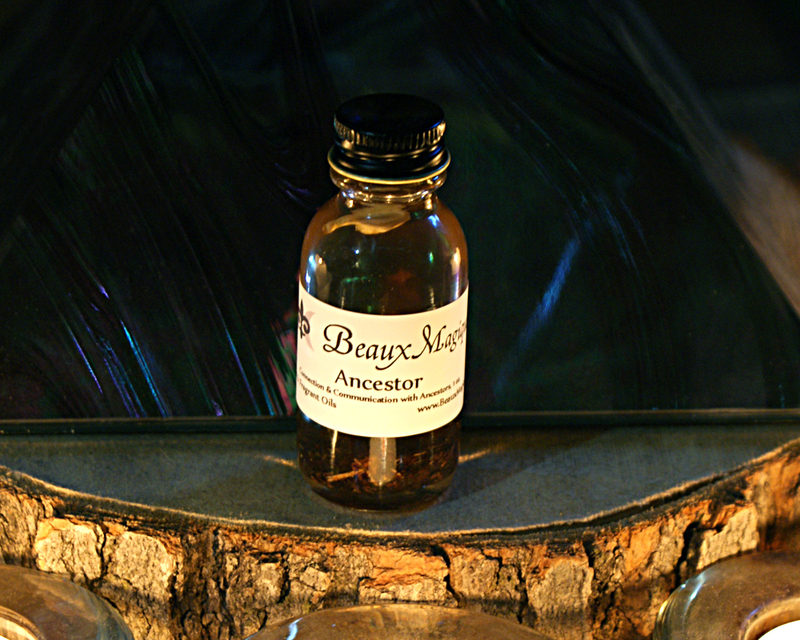 Made for the archetypal Ancestors, this complex blend harmonizes and resonates with many energetic frequencies and energy planes. Even if you have no knowledge of your blood relatives, you can still call out and ask assistance of All Who Have Gone Before. 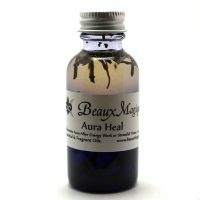 This one ounce bottle also contains Dragon’s Blood, Jasmine, Lemon Balm, Myrtle, Heliotrope, Lotus and other oils. 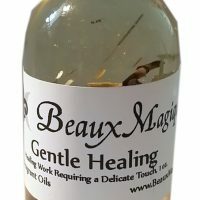 While most of my oils are are perfectly safe to handle, please be careful if you get it on your skin! 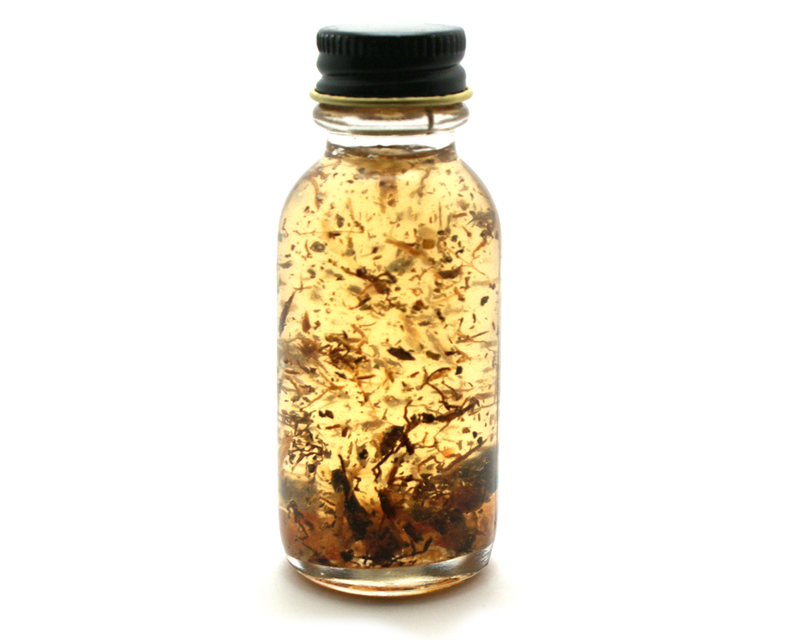 You can wear this oil on your pulse points, however, there is actual tobacco in this blend. 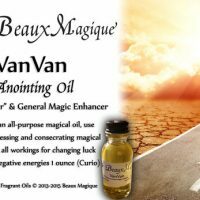 Please check for sensitivities! 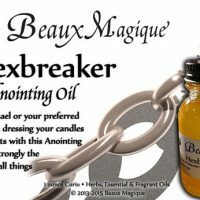 Please use as an offering, to dress candles and objects or place a drop or two on lit charcoal. Wash hands thoroughly after application. Once fully used, please bury the contents, recycle the glass bottle container or return to me.